A number of Linux based operating systems are available with a lot of Desktop Environments. 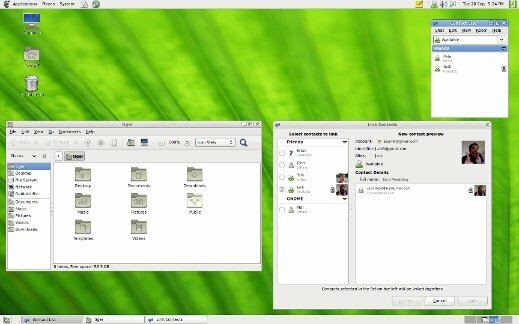 So what is the best Linux desktop environment ? ,well it is not an easy question to answer, but this post might help you in deciding ‘what is best for you?’. It depends on a lot of factors, like – your system’s hardware configuration,nature of task performed,…and of course the personal choice is the dominant factor. The most popular desktops include – GNOME, KDE, XFCE, and LXDE (Arranged in the decreasing order of popularity). Most of the Linux Distribution uses GNOME as a default desktop e.g Fedora,Ubuntu,Debian,Linux Mint etc. KDE (Initially called as K Desktop Environment) is used by Open Suse ,Kubuntu etc. as default desktop. XFCE and LXDE are light weight and fast desktop environment ; specially useful for users who uses old computer(The computer with fewer resources e.g 256 MB RAM,no graphics card etc). 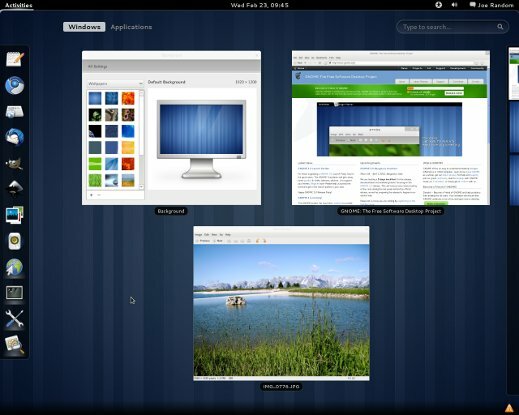 What is Desktop in Linux.. (based OS) ? Desktop Environment(DE) , or Desktop is the style of GUI(Graphical User Interface) , runs on the top of operating system; the user interface which allows the users to perform the common tasks like execution of application,modification of OS features etc in a graphical environment. The common actions are click,drag and drop , by which a user control the os. Some of the features are still not available through GUI, in that case CLI(Command Line Interface) is the only choice. Desktop Environment relies on Windows managers,which controls the placement and appearance(or look) of window within a windowing system. GNOME (GNU Network Object Model Environment) is the most popular desktop environment among the Linux users. it is open source and available free for all. it has no dependencies on any proprietary libraries unlike the other popular Desktop KDE ; made entirely on free and open source softwares(FOSS). GNOME is based on GTK+ , a cross platform widget toolkit, used to create graphical interfaces. Why GNOME is Best ? #1 : Simplicity : it is simple to use and explore regardless of whether the user is technical or not. #2 : Freedom : Gnome is available free and licensed under GNU GPL/LGPL i.e it’s an open source software,so you are allowed to use,modify or distribute the software as you want. #3 : Appearance and Performance : The appearance of the gnome desktop is very appealing due to the availability of a lot of themes,icons etc. The performance is very high and it can be optimized in multiple ways. There is good balanced between the performance and appearance in Gnome; KDE desktop also have nice appearance but it is very heavy and performance is poor as compared to Gnome. 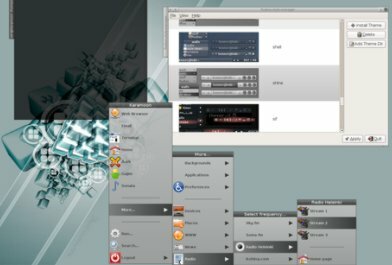 #4 : Extensibility : The structure of GNOME is very modular, so it is highly extensible i.e a extra features can be added in lot of ways.e.g Instead of the default window manager(Metacity) , compiz can be used to provide some 3D effects in GUI; The default theme (currently the default theme is Clearlooks) can be configured in the way you want. So you can make your Ubuntu look like a Mac OS X or Windows Vista/7/XP just by installing some extra packages. #5 : Accessibility : it can be used by anyone regardless of experience or physical circumstances/limitations. #6 : Support : Along with the built in support(with GNOME), a number of online community and forums are available to explore and troubleshoot the common problems; to help the beginner users. The latest stable version is Gnome vs 2.32 and the upcoming version – Gnome vs 3.0 will be released in April 2011. The official website of the GNOME is http://www.gnome.org/. Look at the snapshot below – a preview of gnome version 3.0 . 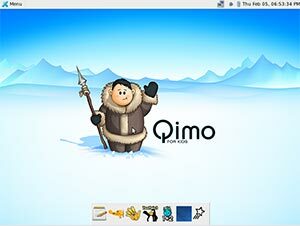 Gnome 3 or Gnome shell has released with a lot of new exciting features with totally different look and feel, available for Open Suse and Fedora. Ubuntu users can install gnome using PPA although it is very unstable now, but we can expect Gnome 3.0 as a desktop, in next major release of Ubuntu i.e Ubuntu 11.10. A window manager or desktop like XFCE/LDXE/KDE/GNOME..(it’s a lightweight weight desktop environment) for linux based operating system and available free under MIT License. #1. Open Synaptic Package Manager(Go to System->Administration->SPM) and search for ‘fluxbox’. #2. Check the small rectangular box(Select the fluxbox package),then click on Apply to begin installation of the selected package. #3. After few minutes,the installation would be complete..then logout from the current session ..and choose fluxbox from the drop down menu at login prompt to run fluxbox with Ubuntu 10.04. Run the command(given below) at terminal(CTRL+ALT+T) and read the step 3 for logging into fluxbox desktop.